An innovative and waterproof lash-hugging gel liner pen. Benefit They’re Real! 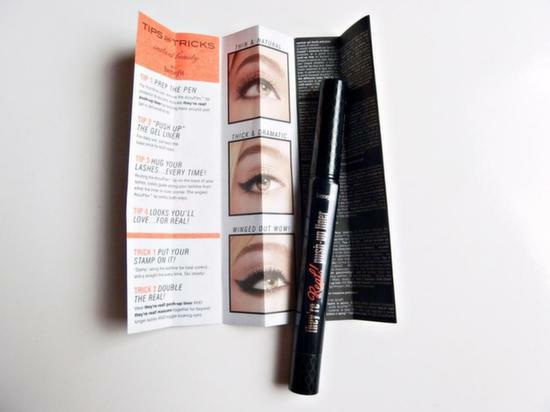 Push-Up Liner is the first fool-proof and budge-proof gel liner in a pen. 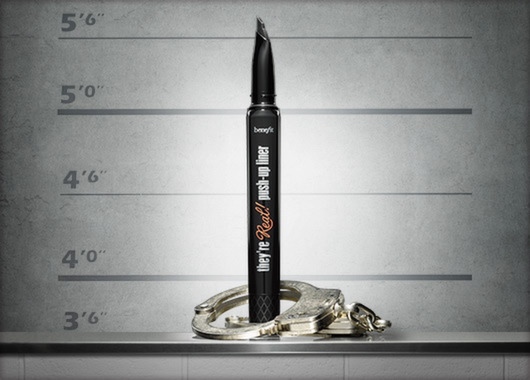 A gorgeous way to open up eyes, this matte black gel formula won’t dry out, and its cutting-edge tip ensures a precise line every time. This eyeliner’s soft AccuFlex™ tip is custom-angled to draw an easy line. Its flat, wide guard gently pushes lashes aside to get close to lash line. -For first-time use: remove and discard tip protector. 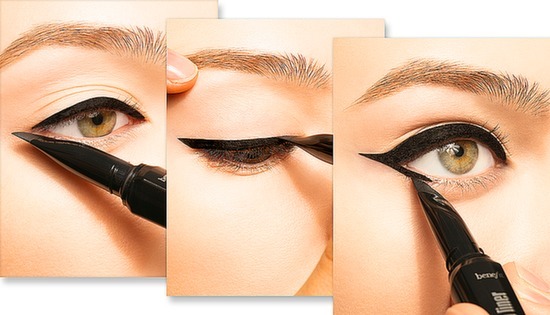 Activate the eyeliner by twisting the base until gel is delivered to tip. Wipe any excess on a tissue. Previous Post Angie Martinez Flipped the Switch! Next Post BET Awards 2014!